A LAYMEN'S GUIDE + MY FAVOURITE PRODUCTS. Those of us somewhat into skincare have all heard of 'retinols' I'm sure. But are we all sure of exactly what they are and how they work? It was only a year or two ago that they became something I thought I ought to be including in my routine, but really, with all the terminology and definitions being banded about, and information tending to be confusing, I'm not ashamed to admit I was pretty clueless myself! In an effort to 'get educated', I've since researched, read up, spoken to dermatologists and experts, and most importantly have tried a large handful of retinol products myself, in my search for youthful skin. 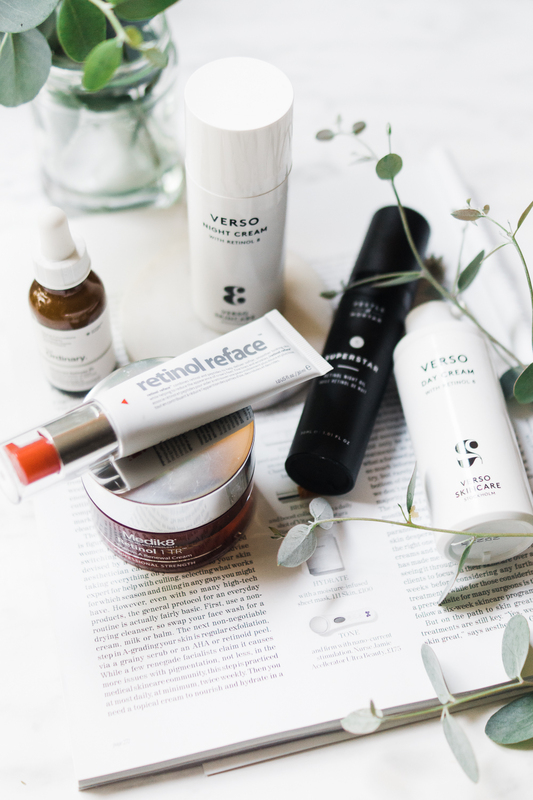 So today, I'm sharing my Layman's-term guide to retinols, including some of my favourite products. There's really so much to say on the topic, but I've tried to round up what I think I would like to know, so I hope you enjoy! W H A T A R E R E T I N O I D S ? Retinoids are a class of oil-soluble compounds related to Vitamin A. They include Retinol, Retinal, Retinyl Esters (like Hydroxypinacolone Retinoate) and Retinoic Acid (aka trans-retinoic acid/Tretinoin/Retin-A). Are you still with me?! Only Retinoic Acid has a direct biological effect on the skin, so the other forms need to be converted (by naturally occuring enzymes in our skin) to be used. Retinoic Acid stimulates cell turnover, from the deeper layers upwards, interrupts free-radical damage to slow down the onset of wrinkle formation or other signs of aging, and can also help with acne. It's one of the only well-tested, well-documented and FDA-approved ingredients to have an effect on wrinkles. I think here is where the confusion or misunderstanding arises for most people, especially as brands and the media tend to interchange some of these definitions, making it unclear exactly what they mean. Retinols, Retinals, Retinyl Esters and Retinoic Acid are all types of Retinoid, and all a form of Vitamin A, as mentioned above. As our skin can only make use of Retinoic Acid, the others all need to be reduced or converted to it - a process during which they lose potency. Retinols via prescription, eg Tretinoin or Retin-A, are Retinoic Acid straight out of the tube, meaning they don't need to be converted by our skin, and consequently are at their most potent. Results are quickest and most significant with these products, but they're equally most irritating to the skin due to their strength. 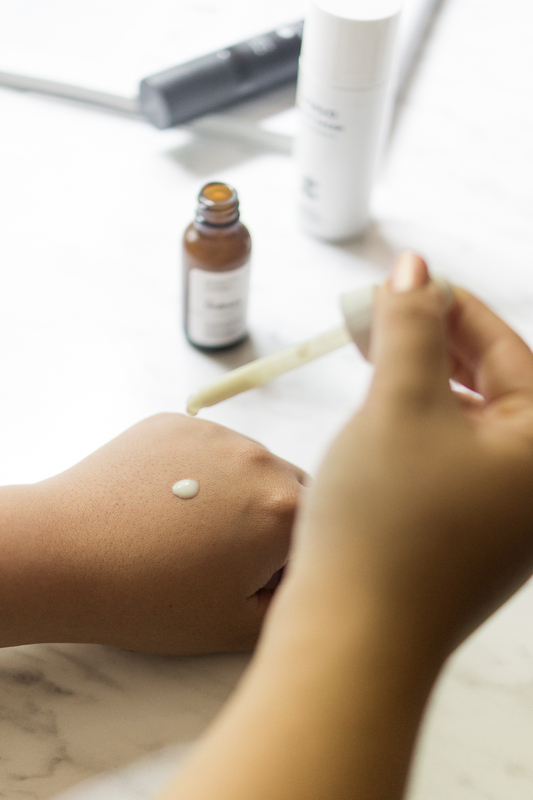 Over-the-counter (OTC) retinols use ingredients that need to be converted to Retinoic Acid, meaning they lose potency during the conversion, but they're also far less irritating, and you're less likely to experience side-effects. Hydroxypinacolone Retinoate (HPR), a retinyl ester, is a newer retinoid that's supposed to work more like Retinoic Acid, but without the irritation. It's even alleged that HPR doesn't need to be converted to retinoic acid, but that it instead binds and communicates directly with retinoid receptors? Something that I've learnt is that the results aren't necessarily less beneficial by using an OTC retinol, they just take longer to materialise, which just requires commitment and dedication on your part - and we're talking several months rather than weeks. Good to know if your skin is at all sensitive. I don't know about you, but peeling and dryness tends to be my number one side effect when using new retinol products. My skin can become dry and flaky, particularly in small patches between my brows, around my eyes, or my chin. 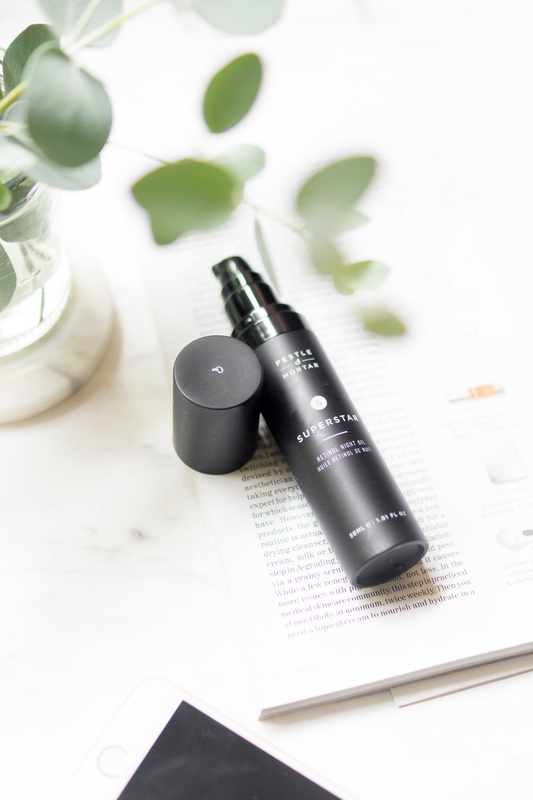 Whilst mild flaking is a common side effect, something more significant could be the result of an impaired skin barrier, where your skin receives too much retinol in a short space of time due to being damaged. - stop using the product and let your skin rest. - cut back on manual or physical exfoliation for 2 weeks. - strip your skincare back to a very basic routine. - use nourishing or restorative products and little else (I stuck to raw manuka honey masks and my Cosrx Snail serum and they helped immensely). - don't use retinols straight after washing your face. Generally, most manufacturers will recommend using the retinol ladder to build up your skin's tolerance to Vitamin A gradually. Introduce the product into your nighttime routine twice weekly for a fortnight, then alternate days for another fortnight, before trying it everyday. And make sure to use a high factor, broad spectrum sunscreen every morning (which you should already be doing!) Have a look at my big SPF edit if you need ideas. There are mixed messages about when exactly to apply retinol, and whether or not it should be applied to freshly cleansed skin. I apply my products around 10 minutes after cleansing, and skip toner. This mythbuster from Paula's Choice is a good read regarding combining retinoids with other products. Retinols can be stored at room temperature and should come in opaque bottles to protect them from light degradation. 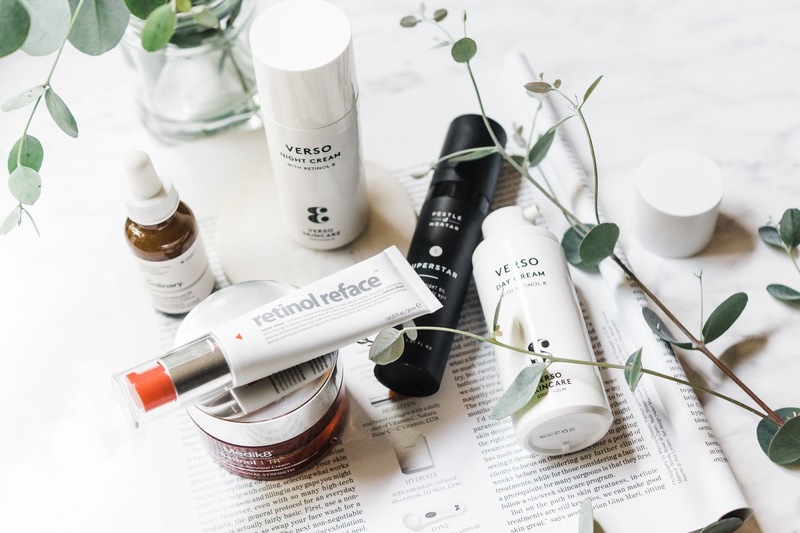 Now I've not tried a prescription retinol product, because my skin just doesn't need it - nor do I think it would cope with the side effects, but I have dabbled plenty with OTC retinols, and I definitely have my favourites. I'd consider both the Ordinary Advanced Retinoid (active ingredient, Hydroxypinacolone Retinoate aka HPR) and Indeed Retinol Reface c/o Indeed (active ingredient, Retinol) to be good, entry-level options, due to their mild formulations and low price points. 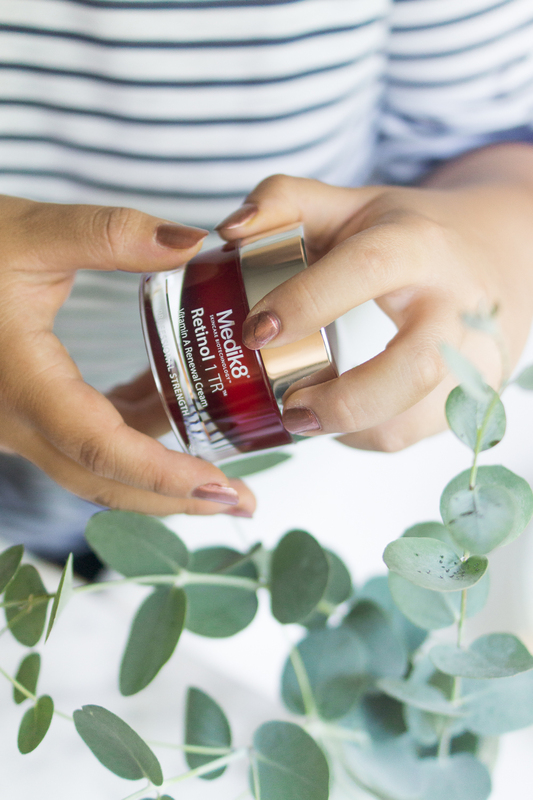 The former has a viscous, serum-like texture which I enjoy for layering, the latter has much more of a slippery, silicone feel to it and I saw better clarity and texture to my skin within around a month of use. Neither have caused me irritation. I love using oils on my face. From cleansing to moisturising, I find them the most gentle and nourishing on my skin. And retinoids, being oil-soluble, are perfect to add into facial oils. Sunday Riley's Luna and Superstar from Pestle & Mortar are both incredibly similar formulas that include HPR. Both give me absolutely no irritation on my skin and have other lovely skin-conditioning and nurturing ingredients. They're my favourite products to wear alone as my night time skin routine. I've talked more about them in my review if you're after more info. 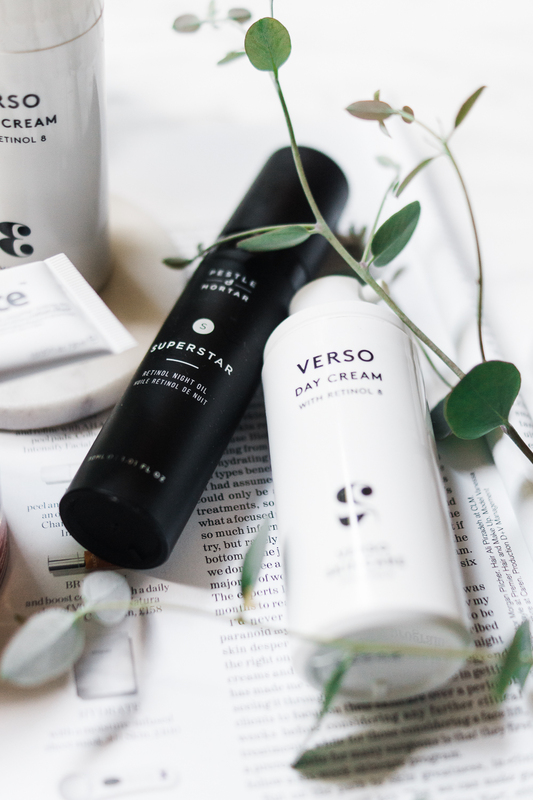 One of my favourite retinol brands is Verso. They've got a relatively small range but each product I've tried has impressed. Their Night cream is a silky moisturiser that includes Retinyl Retinoate, touted to be the next step up from Hydroxypinacolone Retinoate. It also includes antioxidants, oats and turmeric to soothe inflammation and prevent the irritation we usually associate with Retinoid use. 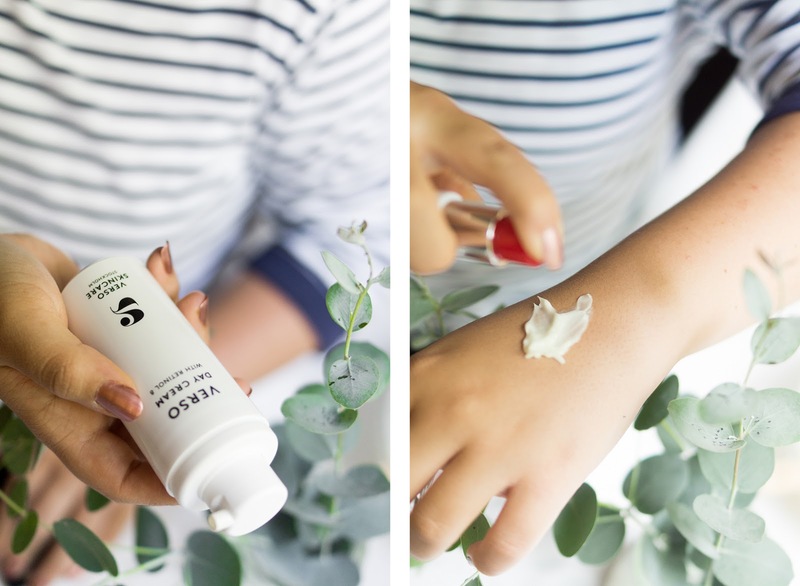 The Day cream includes sunscreen and niacinamide and the texture really suits my normal-combo skin as a layering piece, and they've just launched an anti-pollution mist which sounds dreamy on first impressions. Newest to my collection is the Retinol 1TR c/o Medik 8. A richly textured cream, it includes a time-release dosage of Retinol over a 6-12 hour window. I've been using mine for several weeks now and at first, I did see peeling and dry patches, close to my eyes and nose, but that's since completely subsided and I've been really impressed with my results so far. My skin overall, looks smoother, and more even, and I feel it's really helping with hormonal breakouts, that no other product seems to be able to budge. I've been using it in conjunction with their Vitamin C product too, and I think the two complement each other exceptionally. I'm due to write up another skincare post in the near future so keep your eyes peeled for these two new stars of the show. Have you tried retinoid products? Let me know your experiences and which are your favourites! This post was so informative! I had no idea about retinol or that you had to build up a resistance for the absorption of Vitamin A, thanks for the education! I was looking into getting the Ordinary one.. this was such a helpful post :) Thank you so much girl! 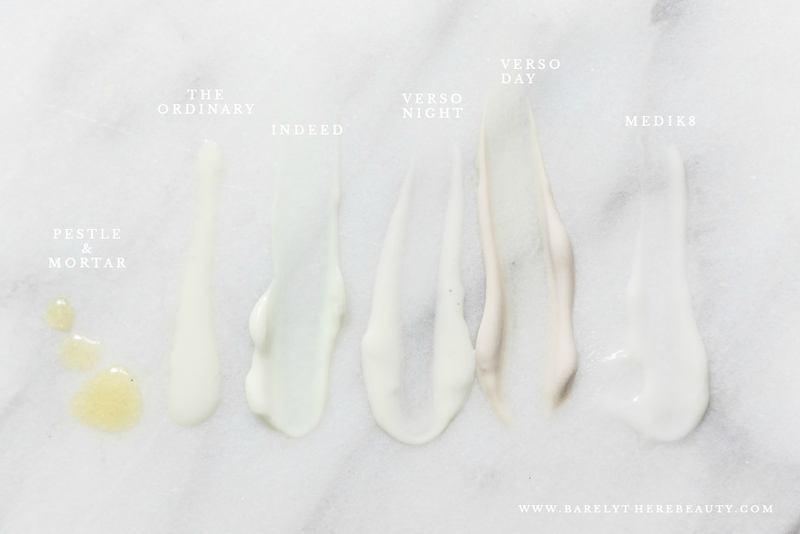 This is such an informative post well-explained, I will definitely be bookmarking this to look back on :) the Verso cream sounds lovely - I'm using the Ordinary's one at the moment!